Konstadinos was great for our family! We came via Norwegian Cruise line & even after our cruise had to switch days & come a day early, he had no problem accommodating the new day & time. He took us to the major sites to see in Athens and helped get us to the front of the line for tickets and stopped at a few lesser known places that were cool to see. The restaurant he took us to for lunch was outstanding as they served us family style many traditional Greek dishes & a dessert. Thanks Kostas! TOUR GUIDE RESPONSE: you are a wonderfull family and i thank you so much for this perfect review. I hope to see you again in the near future!! Konstadinos was a fantastic guide for Athens and Cape Sounio! He is very knowledgeable and very accomodating to the group. His tour is comprehensive but you never feel like your ever rushed in any way. He will advise you which attractions are worth your time and money. His ability to manage time was excellent allowing us to visit the Parthenon/Temple of Poseidon well before the crowds showed up. Have no hesitation in recommending Konstadinos for his service. Our tour guide, Konstadinos, was amazing! 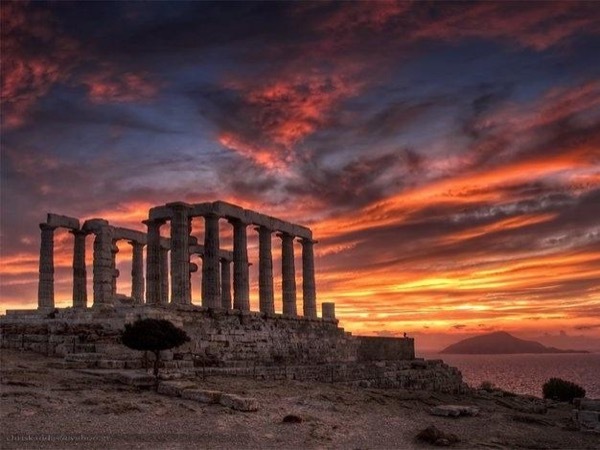 On the drive to see the Temple of Poseidon, he shares many loca details and fact about Greece. We learned so much! He was so kind and helpful. He gave us many tips for our remaining time in Athens. He made this an exceptional experience for my daughter and me. TOUR GUIDE RESPONSE: Wow,Thank you so much for the lovely words.really appreciate it!! We had the best time! There were five of us, all adults, and everyone loved Kostas! He was an informative guide, a very professional driver and a marvelous host. We were touring Delphi which was breathtaking, but Kostas also made some stops at very interesting places and villages. He took us to the best places for coffee breaks, for lunch and for shopping. He's our friend now! If you are touring anywhere around Or starting from Athens, look up Kostas. You won't be disappointed. TOUR GUIDE RESPONSE: The best of the best my friend Μιχαλης. Thank You guys for the wonderful time that we spend together. I will remember it for many years. First rate. Very knowledgeable and accommodating. Trustworthy. TOUR GUIDE RESPONSE: It was a great pleasure for me too. Thank you very much! Wonderful afternoon of sight seeing. Konstadinos was in touch with us before our travel to go over details. He picked us up on time and comfortably in a van. (even brought water for us) He and our guide were very friendly and knowledgable of the area and history. Glad we had the opportunity to book this trip. We would have no hesitation in recommending our guides to others. Thank you from the Spencer family! TOUR GUIDE RESPONSE: Dear Sheila, Thank you so much for this perfect review, It's a great pleasure for me to read it. Greetings to your family! TOUR GUIDE RESPONSE: thank you so much for this perfect review, hope to see you again one day! Kostas was a great guide. He was on time, knowledgeable and an excellent driver. We had a rough idea of what we wanted to do and see, and he listened to our ideas then brought us back to reality lol. We didn't have time to do everything on our list, so he made excellent suggestions to make the best use of our time. He also got us a table at a very popular, family run local restaurant for lunch where we were able to try 5 different Greek dishes. They were all DELICIOUS! Overall an excellent day! TOUR GUIDE RESPONSE: thank you so much for this perfect review,really appreciate it!! TOUR GUIDE RESPONSE: thank you for this perfect review Rupal,we had amazing time together and i am really happy that i you liked our tour.Greetings to all family members!! Wow...absolutely a great tour: - Sites/views were amazing. - Konstadinos was great...as he was not just a 'boring tour guide', but a 'great conversationalist' who shared views and history on area villages, regions, country, & continent engaging our entire party of eight's wide age range...and their specific interests. - I do not want to spoil the surprise of the wonderful dinner...I can only say go to Konstadinos' restaurant of choice, and you will be surprised and pleased!!!! Would strongly recommend. TOUR GUIDE RESPONSE: Adam thank you for this super review,i am so happy to know you and your entire family. hope to see you again at the near future!! TOUR GUIDE RESPONSE: You are a lovely family, thank you for the perfect review. Konstadinos was a pleasure to work with. He did a great job of communicating prior to our tour, and we had no trouble getting off the ship and to his van quickly, and on our way. He spoke very good English, and although, not a tour guide, was able to give us very good information about Athens and the sites that we visited. We thoroughly enjoyed our day with Konstadinos, and would use his services again, and recommend him highly to anyone visiting Athens the surrounding areas. One of the best tours we have had. Kostas took us to the places that we wanted and also showed us local spots that we wouldn't have known about. We had lunch at a local restaurant that was amazing and finished the day off at a local bakery with the most delicious ice cream. Even my teenagers enjoyed this tour! We highly recommend! TOUR GUIDE RESPONSE: Thank you guys for this perfect review,i am really pleased! !